Via - I'll take any of these, please. 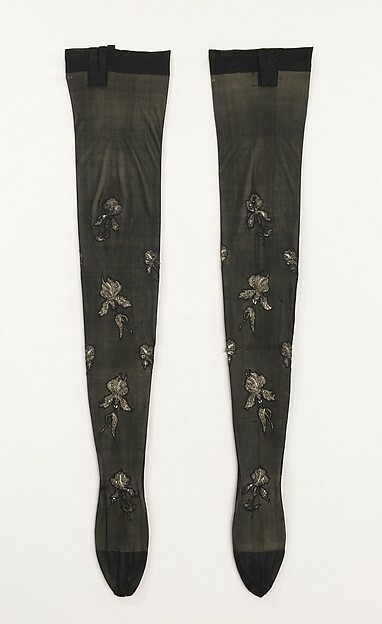 The Met - 1873 - two different patterns in the same colors. Zowy! 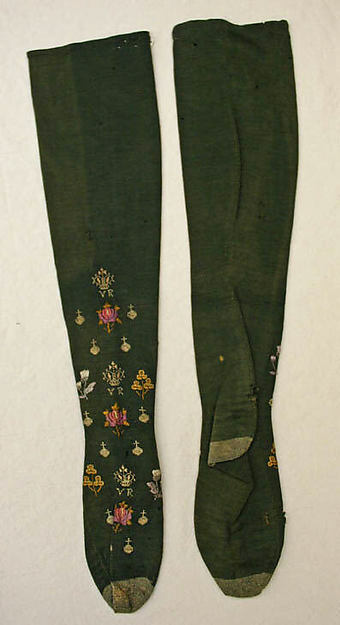 The Met - labeled "19th century"
American Duchess Edwardian/1920s silk stockings - coming soon. How fun! I love those black and white striped stockings! Oh, I love these! Can add some authenticity to my doll stockings with fancy t-shirt prints, so thank you for the inspiration. Personally, I love the VR pair with the little crown. 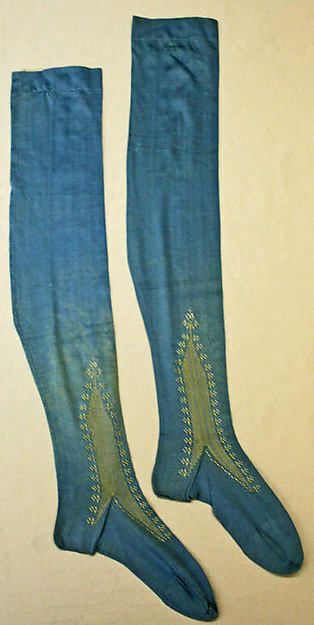 Did they belong to Queen Victoria, do you know? 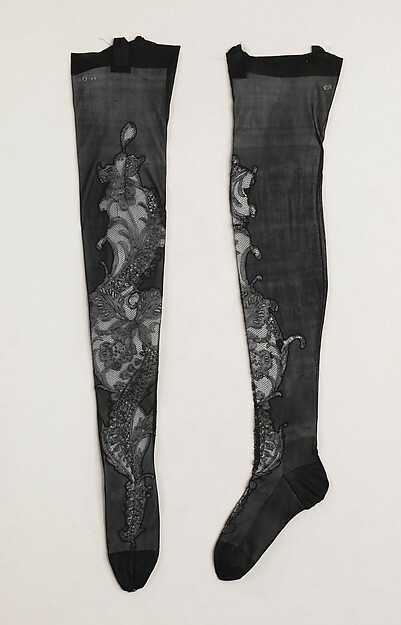 I am over the moon happy about the idea of Victorian stockings!